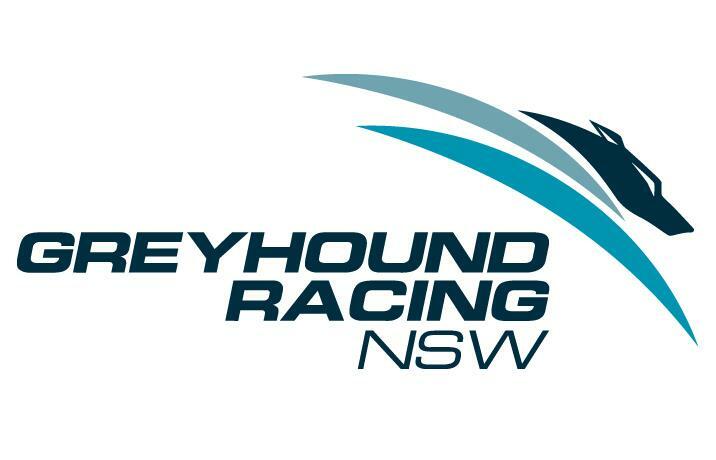 Further to the Government’s decision to shut down the industry in NSW following the Special Commission of Inquiry into the Greyhound Racing Industry, and subject to consideration by the NSW Parliament, the interim CEO Mr Paul Newson will be replaced by an Administrator of Greyhound Racing NSW (GRNSW). GRNSW Chief Executive Paul Newson said in the next few weeks the Government will appoint an administrator to manage the shutdown of the greyhound racing industry in NSW. “I was asked to take on the role of interim Chief Executive in February 2015 following the disturbing and deeply troubling revelations by ‘Four Corners’ and animal rights groups of serious misconduct being undertaken by members of the industry. Those cruel and sickening images of live baiting will not be easily forgotten and highlighted a serious failing by previous management in their oversight and supervision of the industry. The subsequent finding by the Special Commission of Inquiry that far too many healthy greyhounds die each year to sustain the racing industry is equally disturbing,” Mr Newson said. “It’s frustrating to see the support that has emerged to defend the industry since the government’s announcement, when we often had to deal with the outright denial of the significant animal welfare issues in the industry. On many occasions proposed reforms were dismissed and resisted by industry participants and while some participants courageously championed reform, overall there was little appetite to demonstrate the significant change was in place before the inquiry had made its recommendation to government. “However, I recognise the government’s decision is devastating for all participants in the sport and they are understandably distressed and concerned about what will happen next. “In accordance with the NSW Government announcement, the details of how the industry will be shutdown are being developed by a government taskforce following consultation with stakeholders in industry and animal welfare organisations and will be announced later in the year. “There are still a great deal of unanswered questions such as can NSW participants still have a role in greyhound racing in other states, can breeders and trainers still operate out of NSW and if greyhounds can be transferred to other states, to name just a few. “The overarching focus on animal welfare will see our greyhound adoption program, Greyhounds As Pets, become a significant resource in the transition process and I am advocating for our planned expansion of our Wyee facility to proceed and GAP to continue well into the future. “I know from the feedback I have received from participants and GRNSW staff since the decision last week that you want GRNSW to fight the government’s decision, but in light of a clear government policy declaration that it intends to end the industry and our role as a regulator this places me in a very difficult position and the appointment of a GRNSW administrator will make it impossible. “In this regard, participants are adequately represented by the NSW Greyhound Breeders Owners & Trainers Association and the national peak body Greyhounds Australasia. Both organisations are more appropriate and better placed to contest the NSW Government position. To address the clear deficiencies in oversight of the industry, GRNSW overhauled its organisational structure, establishing a new Regulatory Branch including dedicated Intelligence, Compliance and Investigation units to identify, detect, deter and respond to individuals suspected of wrongdoing. GRNSW has worked closely with Animals Australia to eradicate the practice of unauthorised exports to jurisdictions such as Macau which do not meet Australian animal welfare standards. As a result, GRNSW recently charged 179 participants for potential breaches of the Greyhound Racing Rules. GRNSW has tackled the serious issue of over-breeding within the sport through ending the breeders incentive scheme and introducing breeding restrictions which has seen an almost 50% reduction in the number of greyhounds bred in the state. GRNSW has tripled its investment in its re-homing program, Greyhounds As Pets, to ensure more greyhounds can find homes once their racing careers are over. GRNSW is investing $1.5 million into a major expansion of the Greyhounds As Pets facility on the NSW Central Coast and introduced a Re-homing Rebate to assist independent re-homing organisations find more homes for retired greyhounds and support the fantastic work these organisations do, through the issuing of grants worth up to $10,000 each. To lead GRNSW’s welfare policy thinking and development and address the inadequate collection, monitoring and reporting of injury data, GRNSW engaged a Chief Veterinary Officer who ensures that greyhound welfare is central to everything that GRNSW does. GRNSW now publishes a quarterly Greyhound Racing Injury Report, detailing the number and types of injuries that greyhounds sustain while racing. GRNSW can now analyse injury data and target its interventions to enhance track safety and reduce the risk of injuries. The Chief Veterinary Officer has led GRNSW’s research agenda, and championed our intense focus on the much loved participant, the greyhound, including the thorough review of GRNSW’s Code of Practice for Greyhound Welfare. GRNSW also commissioned the Working Dog Alliance to prepare an independent report on best practice rearing, socialisation, education and training for greyhounds. This watershed report set the national benchmark for the introduction of contemporary best practice, focused and accelerated the national dialogue around enhancing welfare outcomes. Following on from the report GRNSW and Greyhound Racing South Australia also funded for the University of Technology Sydney to undertake a vital 12 month and $325,000 research project on identifying optimal greyhound race track design for canine safety and welfare and an additional $280,000 to the University of Sydney to conduct a chase motivation study to inform best practice to better train racing greyhounds. In response to the inadequate licensing framework that previously existed, GRNSW has been developing a new comprehensive licensing system for the industry that required core educational competencies to be met prior to receiving accreditation. GRNSW committed additional staff resources to ensure that all greyhounds are under the care of a licensed person at all stages of their racing careers. Since 1 July 2015, GRNSW has required breeders to be licensed and as at June 2016 has registered the details of more than 300 educators and almost 500 rearers in advance of the introduction of comprehensive licensing. To address the serious lack of education and training provided to industry participants, GRNSW established a dedicated Education and Industry Development Unit to support industry participants with education, guidance and awareness material on modern day best-practice training practices. GRNSW conducted two education seminars for more than 200 participants in late 2015 and in 2016 GRNSW has already held four seminars with more scheduled later in the year. “While we knew much more needed to be done in the areas of animal welfare and industry supervision, if we could have effectively addressed these issues we hoped there could have been a future for greyhound racing that offered a continued social and economic benefit to NSW. Greyhound racing delivers over $300 million to the NSW economy each year, many thousands of people are involved through participation as an owner or trainer as well as many more who are keen fans of the sport,” Mr Newson said. “GRNSW implemented robust and wide-ranging reforms and led the national reform agenda to improve animal welfare and supervision of the industry. GRNSW was confident it could secure a responsible and vibrant future for greyhound racing, however, the overall recommendation handed to the NSW Government clearly found we did not do enough to meet community expectations which is devastating for those participants who genuinely attempted to reform the industry in a very short time. “In the past 17 months, I have met many greyhound owners who truly love and care for their dogs as if they were members of their family and for those participants I’m genuinely disappointed. GRNSW will play a key role in representing participant’s interest in the taskforce and during the transition process over the next 12 months including managing the welfare plan for existing greyhounds and the proposed adjustment package for industry participants. In preparation for the transition process participants should take the time to identify and share with GRNSW the most important questions and issues they are concerned about and where appropriate GRNSW will take these matters up with the government taskforce. Participants should also email taskforce@grnsw.com.au with this information.